A SpaceX Falcon 9 rocket carrying a Dragon cargo ship loaded with more than 4,000 pounds of supplies and equipment bound for the International Space Station — including a critical docking adapter needed by future U.S. crew ships — broke apart in a shower of debris shortly after launch Sunday in a major setback for NASA and the California rocket company. In a spectacular mishap, the rocket, the 19th Falcon 9 launched by SpaceX since 2010, disintegrated in a sudden cloud of swirling vapor followed moments later by arcing contrails as debris fell toward the Atlantic Ocean. The last data from the spacecraft was received just under two-and-a-half minutes into flight, around the time the booster’s nine first stage engines were to have shut down. SpaceX founder Elon Musk, who turned 44 Sunday, said in a tweet that telemetry indicated a sudden change in the pressure of the second stage liquid oxygen tank just before the rocket came apart. She would not speculate on the possible root cause, saying SpaceX will be carrying out a detailed failure investigation, with FAA participation, to find out what went wrong. “I don’t want to speculate as to what it’s going to take to get back to flight because we haven’t pinpointed exactly what happened yet,” she said. The dramatic failure came eight months after an Oct. 28 explosion that destroyed a space station cargo craft build by Orbital Sciences Corp. and two months after a Russian cargo ship spun out of control moments after reaching orbit April 28. While NASA anticipated failures when it awarded commercial resupply contracts to SpaceX and Orbital Sciences, no one expected three in less than one year. The Russians say they have found and fixed a problem with the Soyuz upper stage and another Progress is scheduled for launch July 3, followed by launch of a Soyuz ferry craft July 23 carrying three fresh crew members to the outpost. A Japanese cargo ship is scheduled for launch in August and later this year, Orbital plans to launch a Cygnus cargo ship atop a United Launch Alliance Atlas 5 rocket before resuming use of its own Antares rocket next spring. “We expected through the commercial cargo program we would lose some vehicles,” Gerstenmaier said. “I didn’t think we’d lose them all in a one year time frame, but we have. There’s no negligence here, there’s no, really, problem with (the commercial cargo program), it just shows the challenges of spaceflight in general. That said, the back-to-back Progress and Dragon cargo failures will have a significant impact on NASA and its space station partners, preventing the agency from building up projected reserves of food, clothing and other consumables in the wake of the previous two failures. More important, the first of two International Docking Adapters, or IDAs, was on board as part of a major station reconfiguration to ready the lab for arrival of U.S.-built crew ships starting in 2017. A second IDA is scheduled for launch aboard a Dragon capsule in December, but the SpaceX launch schedule will almost certainly face a major revision in the wake of Sunday’s failure. In the near term, both of NASA’s U.S. space station resupply contractors — SpaceX and Orbital Sciences — are out of action, leaving only the Russian Progress and Japanese HTV freighter to carry up supplies and equipment. Space station program manager Mike Suffredini said the station had enough on-board supplies to make it through October even if no other cargo ships show up. But the failure Sunday will require extensive contingency planning and it’s not yet clear how that might play out. Likewise, the failure could impact science operations depending on how long it takes SpaceX to resolve the problem. The Dragon is the only spacecraft currently in operation that can bring cargo and research samples back to Earth for laboratory analysis. Shotwell said the company will leave no stone unturned to get to the bottom of the failure and resolve it as soon as possible. In the meantime, SpaceX will stay the course. “I don’t anticipate this to impact any program that we have ongoing,” she said. “We must find the cause of the failure, we must fix it, and obviously we’re going to get back to flight. It’s a reminder, it’s not a great reminder, but it’s a reminder nonetheless of how difficult this is. SpaceX aggressively markets its Falcon 9 boosters for commercial and military payloads, challenging the dominance of United Launch Alliance, a partnership between Boeing and Lockheed Martin. 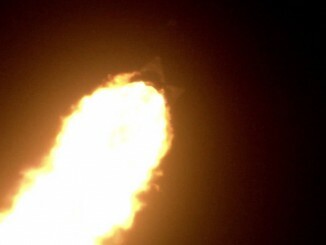 The company had chalked up 18 successful Falcon 9 launches in a row since the rocket’s debut in 2010. Whether the failure Sunday might trigger a crisis of confidence in the commercial launch sector, possibly leading to higher insurance rates for communications satellites and other civilian payloads, remains to be seen. SpaceX advertises Falcon 9 rockets for around $60 million each, some $50 million less than the least expensive Atlas 5 rocket currently offered by United Launch Alliance. But ULA’s record with its current generation of Atlas 5 and Delta 4 boosters is 83 successful launches and no outright failures. The Falcon 9 failure also will delay SpaceX’s ambitious plans to perfect the technology needed to recover spent first stages for refurbishment and eventual reuse. Two attempts to land a Falcon 9 first stage on an off shore barge ended in failure in January and April and a third attempt was on tap Sunday. Recovering, refurbishing and relaunching rocket stages that otherwise would be thrown away is a major element in Musk’s drive to reduce the cost of spaceflight by operating a rocket company much like a commercial airline, re-flying boosters rather than building them from scratch for each flight. SpaceX is expected to continue work to perfect its landing technology, but flight tests obviously will be on hold until Falcon 9 launches resume. Sunday’s mission got underway on time at 10:21 a.m. EDT (GMT-4) when the rocket’s nine Merlin 1D engines ignited with a roar, generating 1.2 million pounds of thrust that quickly pushed the 20-story tall rocket away from launch complex 40 at the Cape Canaveral Air Force Station. The initial moments of the climb out of the dense lower atmosphere appeared to go smoothly as the rocket arced away to the northeast on a trajectory paralleling the East Coast of the United States. SpaceX engineers reported “propulsion nominal” and there were no indications of anything amiss as the rocket accelerated through a near cloudless blue sky. But in an instant, the normal-looking exhaust plume suddenly ballooned as a white cloud of vapor or propellant rushed from the upper part of the booster, quickly expanding in chaotic fashion as something went terribly wrong. Moments later, debris trails could be seen arcing though the sky as the initial cloud began to dissipate. Shotwell said recovery crews would attempt to collect as much debris as possible from the impact zone in hopes of finding clues as to what went wrong. It was the seventh flight of a Falcon 9/Dragon resupply ship under a $1.6 billion contract with NASA calling for 12 missions to the space station to deliver 44,000 pounds of supplies and equipment through 2016. 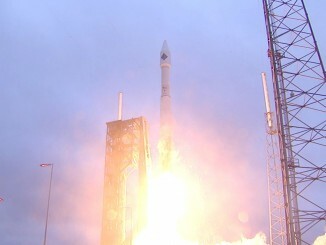 Orbital Sciences Corp. holds a similar $1.9 billion contract to launch Cygnus cargo craft. Both companies are needed to replace the lost cargo capability of the now-retired space shuttle. Orbital’s Antares booster will be grounded throughout 2015 while the company replaces the rocket’s Russian first-stage engines, relics of the Soviet Union’s ill-fated moon program. Now, the Falcon 9 will be grounded as well pending the results of the SpaceX failure investigation. While the station crew will face no immediate problems from the loss of the Dragon cargo craft Sunday, it is not yet clear how long the station can support a crew of six if additional resupply problems occur. “If something happened to SpaceX, we’d have to figure out where we were and how quickly they could return to flight and we would react accordingly,” Suffredini said in an interview earlier this year. 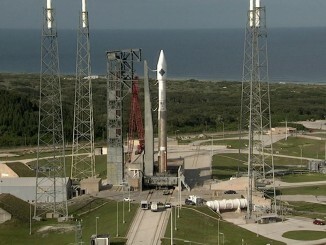 “The crew has enough supplies, including research, to continue to work for somewhere between four and six months. So the decision we’d have to make is, how quickly can SpaceX get back up? And then what can we do with our Russian colleagues with regard to any support they might supply? But given the supplies that are constantly stockpiled on board, mission planners would have “quite a bit of time” to work through the latest launch problem. “In all cases, we have plenty of time to decide what to do next, figure out what we’re really dealing with and then figure out how we want to react to it,” he said. The Falcon 9 launched Sunday was an upgraded version of the rocket, featuring extended propellant tanks, more efficient and lighter engines and a new triply redundant flight computer. Shotwell said nothing significant had been changed for the rocket launched Sunday.